Oh look at the time, seems my weekly post is overdue by about…three months. Well let’s go ahead and fix that shall we? Today we’ve got an updated version of one of my older dark ride photos, shot with some slightly better glass this time around! 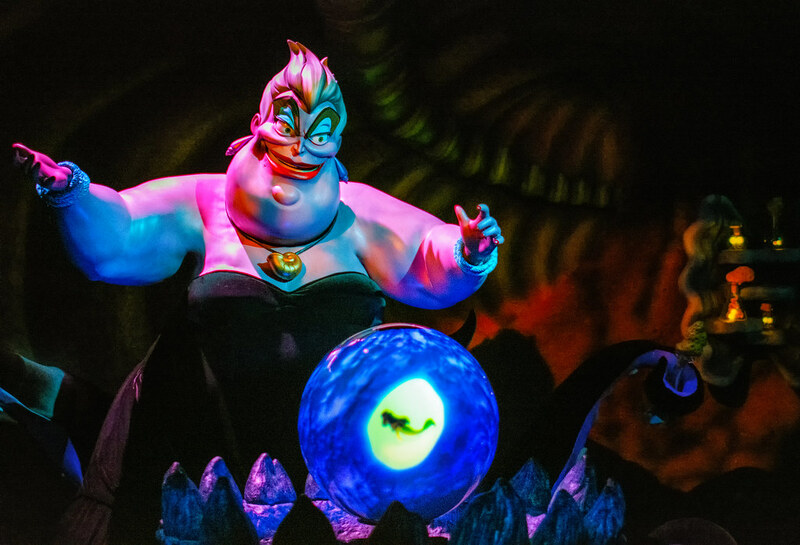 And Ursula is looking just as wicked as ever for the occasion. Shame she refused to look into the camera for her portrait though. This entry was posted in Paradise Pier and tagged animation, animatronic, Ariel's Undersea Adventure, dark ride, Little Mermaid, Ursula, witch. Bookmark the permalink.